Your kid loves sports, but what sport to play? It may be Ultimate Frisbee and here’s five reasons why! Cedar Rapids Ultimate is a local non-profit that hosts a Youth Camp to teach young athletes how to play Ultimate. Just like basketball, soccer or volleyball, Ultimate is a team sport that will teach your child the valuable life lessons of hard work and being a team player – but Ultimate doesn’t stop there. Ultimate is different because of a concept called Spirit of the Game, or simply Spirit. This concept stresses valuing fair play and respect for all participants over a “win-at-all-cost” attitude. Spirit teaches kids to respect their opponents, their coaches and most importantly themselves. You can learn more about Spirit of the Game and local opportunities for kids to play Ultimate by clicking here. Spirit of the Game is rooted in respect and that enables Ultimate to be different than other team sports in a very fundamental way – it is self-officiated. This means players learn how to be responsible for their own behavior, and keeping the game fun and fair. 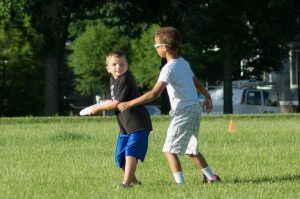 At Youth Ultimate Camp, while kids are learning to throw and catch, they will also be taught the rules, and how they can safely and fairly officiate the games themselves. While kids are having fun playing they learn valuable life skills like respecting others, speaking up for themselves and resolving conflicts. A grassy field, a $10 piece of plastic, a handful of friends and some athletic footwear and you have everything you need for an entire Ultimate team. No expensive equipment required. No bulky pads or protective gear needed. Even the summer camps cost less. 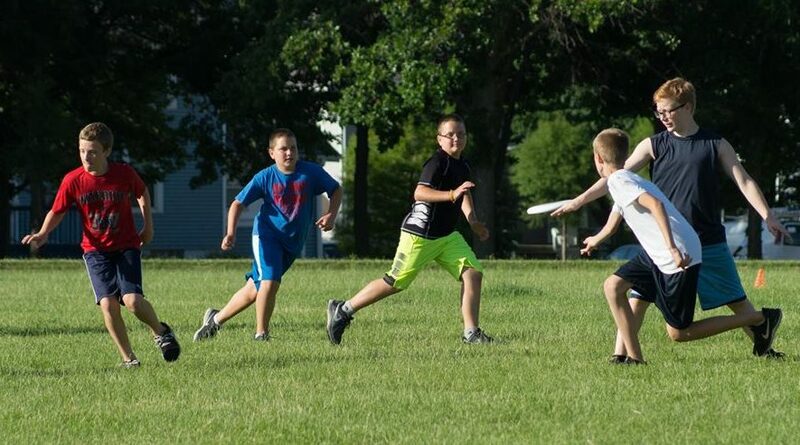 The Youth Ultimate Camp hosted by Cedar Rapids Ultimate only costs $20 and every kid gets their own shirt and disc. Compare that to other area camps and you’ll see that Youth Ultimate Camp is the best deal for kids in Cedar Rapids. 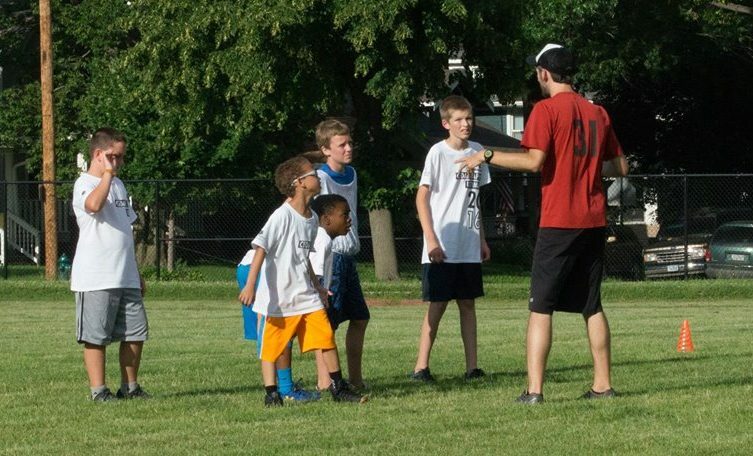 Your child will learn more than just throwing and catching at Youth Ultimate Camp. Ultimate is a social, engaging and fun sport that is also excellent exercise for people of all ages. Ultimate gets kids moving, gets them outside and gets them hanging out together. You might be able to play video games inside and alone but you can’t really play catch inside by yourself. Plus, if you sign your child up for Youth Camp, you’ll see that CRU works hard to create a safe playing environment for all participants. Coaches are trained in concussion recognition, teach players proper warm-up techniques that help prevent injuries, and always put the safety of players first. It’s true! Ultimate is a vastly popular sport with a semi-pro league, international competitions, and it’s being considered for the 2020 Olympics! You may have even seen a great highlight catch on the SportsCenter Top 10. Behind soccer, Ultimate is the fastest growing youth sport in America. Ultimate is played by thousands across the country by players in middle school, high school, college and with club teams. You can learn more about how Ultimate is growing by visiting the website for USA Ultimate, the national governing body of the sport of Ultimate. Ultimate Camp is for boys and girls, ages 7 to 18. Does Ultimate sound like a good fit for your kid? Ultimate is a growing, passionate and active community revolving around a sport that teaches players self-confidence, personal responsibility and, of course, how to throw a disc. If your child joins this community they may find a lifelong passion that leads to strong friendships, healthy habits, precious social skills, and most likely a lot of fun too. Sign your kid up for Youth Ultimate Camp today!